So I just took possession of my beautiful Model 3 on Thursday, August 30th and I love my car so much! I have a question though. Is there no setting for AM radio? NFL football season is right around the corner and I need to be listening to the games on Thursdays and Mondays on my drive home, but I don't see how to set those stations. HELP!! And GO BRONCOS!! No AM radio in the M3. I'm disappointed too. I'm going to try radio.com but I assume it won't stream local broadcast games. NOOOOOOOO!!! I do I do radio.com? Is that an app I play through my iPhone? At least one of the AM radio stations up here also broadcasts on an HD FM channel as well. You may want to look to see if the AM stations in your area do the same. You can use tunein for some of the AM radio stations. For those that are not loadable by the Tesla tunein, you can also use your phone tunein and then use phone as your music source. KOA 850 will allow you to stream. Just make sure you're not driving back from Vail on Sunday afternoon so you lose LTE. Another option is to find out if Sirius XM will be broadcasting the games you are interested in. If so, you can get a streaming subscription to that, or buy one of their Onyx radios and use it in your Model 3. I successfully transferred my Onyx radio from my old car that I replaced with my Model 3. I mounted the magnet antenna on the side of the roof, ran the antenna wire over the front passenger window, plugged the power into the "cigarette" lighter in the center console, set the Onyx to rebroadcast the signal to an FM station that is not used in my area, then tuned the Model 3's FM radio to that same station. Yes, it is retro and kludgy, but it works! Using the Onyx radio to directly receive the satellite signals means you don't depend on LTE, cell phone signals, or local radio stations. Made a round trip from San Diego to central Oregon last month in my 2012 vintage MS. Glad I had the AM radio so I could tune to AM 1610 for the latest on all the wildfires along my I-5 route. Not providing AM for the M3 and eliminating it in the MS/X was a boneheaded move. Dunno if this is just spin or what, but there was a stated technical reason not to provide AM -- something about the induction motor causing interference to AM signals. Could have been worked around with special shielding but that was either too expensive or caused some other tradeoff that most owners would prefer not to subsidize for the 1% who require AM radio. I'm not saying OP doesn't need it -- just saying the general masses do not. The other night we were driving up to Reno Nevada and it was just starting to rain, at Applegate there is a large yellow highway information sign with it’s yellow lights flashing. Caution road hazard ahead tune radio to 1550 am for road information. Well, We must have spent 30 minutes looking for the am radio station, I can’t believe that a vehicle this advanced doesn’t have an am radio!!! Just unbelievable. @dnk808 It is absolutely dumb they still have the antiquated AM system for roadside alerts. Most just call 511 on the cell phone to get the info. now. What was the nature of the "hazard" you actually encountered? What is AM radio? Is it like vhs or beta or cassette,or even cd or dvd? How you start a fire these days? @weluvm3 - You mean live stream is like AM radio that is noisy, staticy, drops out, and is really irritating? Perhaps streaming wants to provide the same poor quality AM radio experience. All it will take is a lawsuit for one incident like @dnk808 reports, where property is lost or people are injured as a result of inability to obtain road information via a media universally accessible to 99.5% of vehicles on the road. When states and provinces universally convert their emergency road transmitters to FM, the AM haters will have a valid point. When the FCC deprecates AM transmission, the AM haters will have a valid point. Till then, they are just merely advocating for less access to media that may, in rare cases, save someone's life. AM radio waves cause cancer, just sayn'. Isn't there an AM/FM receiver in all our smart phones that the carrier will not turn on? @Kary, some smart phones have an FM receiver. I've never seen any phone with an AM receiver. @rxlawdude DNK808 didn't write about an incident, just that the indicator light was flashing. Was there an actual road closure or incident on the road? In California, a lot of highways now also incorporate digital message boards instead of just the warning message. Going up the 5 or on the 101, you'll see warnings for important closures, high winds, fires etc. I remember seeing a message last year about the mud slides, seeing messages about the fires with road closures, or regularly see messages about there being high winds on the 118 West. @TeslaTap.com To be clear, it is if I was trying to listen to an FM radio station in a neighboring city, or worse. Except that, because it is digitally streaming with buffering, sometimes segments will get repeated, or skipped, depending on how much data was dropped. AM radio, being analog, degrades rather than simply dropping out, so it's kind of Apples and Oranges. But if I was trying to listen to a San Diego station while driving towards Orange County, the signal would gradually get noisier, and eventually hard to understand what was being said, and at some point I would have to switch to an Orange County or LA station. Which I could easily do as I would likely have them both programmed into my radio, so just a push of the button and instantly I can hear clearly again. I was happy with the AM radio reception in my local market. This is not "progress." It is frankly irritating to have these silly discussions with people whenever I (or anyone) suggest that something about your beloved Tesla isn't perfect, or is worse than what came before. I don't know why Tesla decided not to include an AM radio tuner in my car, but you'll never convince me that it is "better" somehow that they did. Not for me. Not for anyone. At best, it did not harm for people who never, ever wanted to listen to AM radio, but it didn't help them in any way. Just because it doesn't affect you, personally, doesn't make it OK if it annoys others. Do they even sell pocket AM radios any more? If AM is important to you guess you can carry a small radio in your car. And yes I see them being sold on ebay. They also have those hand crank/solar powered units (AM/FM/Weather) for around $20 and some of them come with USB connectors so you can charge your phone etc. Also acts as a flashlight. Seems like good thing to have even for your emergency car kit. @weluvm, see the two responses, which demonstrate the total tone deafness of many here. Most of whom didn't own a Model S with a perfectly serviceable AM receiver. Maybe Tesla should consider eliminating the AC, too? After all, Amazon sells perfectly good USB powered fans which will do the job adequately well. Or Tesla could bring back the Vent Window: imagine how much Tesla would save with that design change. If you want SIRIUS XM (I know that’s not what you’re looking for) just get a 6 dollar a month streaming only subscription and stream it from your phone. Sounds great in my car. There’s an AM station I listen to a lot here in MA that has an FM HD radio feed. I’m pretty sure SiriusXM has an NFL package you can buy too. @broncochrissy--you are in luck. According to the attached link, you should be able to find KOA on 97.3 HD3. To access it, go to your radio options on the M3 and then scroll around the numbers. Some of the HD channels are further down the page depending on how many are in the Denver area. In the LA area, KNX 1070 is on KRTH 101's HD2 channel. And the really nice thing is the station comes in clear with no static or typical AM noise. There is not much discussion on HD radio these days, but that is another discovery of my M3. There are stations with different music formats and some with no commercials! Hoped to have helped my fellow Bronco fan out! Those suggesting using XM streaming on a cell phone seem to conveniently ignore the fact that there are many areas with no cell coverage. Those suggesting finding AM stations on FM HD don't realize that the low-power information stations on AM are not streamed or rebroadcast on FM. It's amazing how people can defend something because it may not affect them. Until it does. 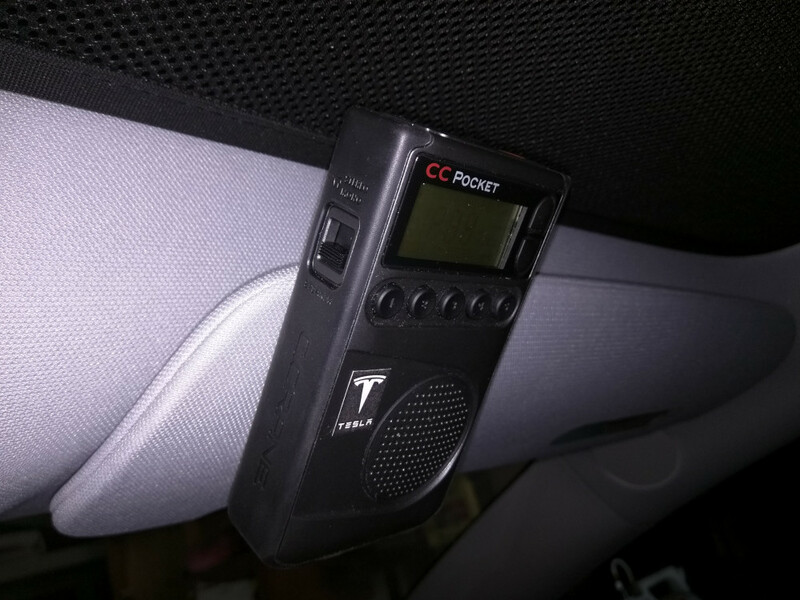 Went back to my "Model 3 AM Radio Upgrayedd" (forum topic), basically a pocket AM radio on my sunvisor. Rxlaw let me ask this. If it were an optional add on for say $500 for the extra antennae, magnetic shielding, and interface development - - would you want to pay for it? The answer is maybe and that goes for weluvm3 too. Well you aren’t asking for that to be an option. You’re stomping your feet because it wasn’t a standard feature for everyone (which would have cost all of us extra money for a feature most of us don’t want.) So don’t get angry because you aren’t getting a ton of support here. I also don’t vote for tax levies in my town for improvements I don’t find useful or beneficial. Your strawman is absurd, so I won't take the bait. An AM antenna and receiver electronics maybe would add $20 to the car. Just enough shielding to get it relatively hash free. Again, stomping? Nope. Advocating? You bet. "Your strawman is absurd, so I won't take the bait." Exactly. Don't feed the trolls. Omg yes I am an am radio troll. Stop resorting to name calling any time someone disagrees with you. They can’t retrofit the car for am radio without adding shielding. So all you can advocate for now is future model 3 designs. Anything else is foot stomping. @spuzz, thanks for enlightening us on Tesla's engineering. You might have more credibility if you state it is your opinion. OK RXL, it is my opinion based on what I read on the interwebs, but that doesn't mean it applies universally. I understand, you want AM. I'd like to have carplay and a slightly smoother suspension. My ask isn't any more important than yours so I will leave well enough alone -- hopefully someday we can all get what we need. "The National Association of Broadcasters (NAB) is asking BMW to reconsider its decision to drop AM radio, and NAB's California branch has teamed up with engineers to devise a solutions to the static problem. A group of engineers in Germany are also working on a prototype for minimizing interference by shielding the engine's cabling and insulating the motor, at a price point that's affordable for automakers." @RxLaw, Its reception is pretty good for strong AM stations in Los Angeles (many not available in TuneIn or the FM HD repeater stations either unavailable or too weak), but on road trips (rural) the range of the radio is not that great (it only has a tiny internal AM antenna). I put it on the sunvisor to get as far from the motors, etc. as possible. Bigger radios possibly with an external AM radio antenna connection would likely be better, but that probably would look even more ridiculous on the sunvisor. @JayM, thanks. It's at least an almost viable solution. @spuzz, comparing AM and Carplay is ridiculous and you have to know that. And since you again made a statement that Honda is ditching AM (and qualified it with "reportedly") cite your source. This issue has been beaten to death. We have known for almost 3 years that the model 3 would not have AM radio. It should be no surprise to anybody. I suggest that instead of discussing/complaining about it here, folks who want it should send the requests directly to Tesla. I'm not sure how many Tesla model 3 (and model X) owners are going to bemoan the lack of AM radio, but I doubt the percentage is high. It certainly never shows up in reviews (good or bad). @RXL - I am not sure why it's ridiculous -- I'm not trying to say carplay is a replacement for AM, just pointing out that different consumers have different priorities.